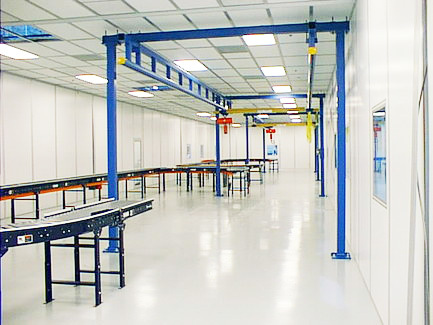 "Do I need a cleanroom, or just a "cleaner" room?" The word cleanroom can immediately sound like something more complicated than it really is. Though most might picture a highly sophisticated enclosure with occupants dressed in full containment gowning when they hear the word "cleanroom", the term can actually take on a variety of meanings. The above solutions allow our clients to enhance operational efficiency, increase product quality and improve throughput. Below are a few of the more common requirements for controlled environments and for more specialized cleanroom environments. 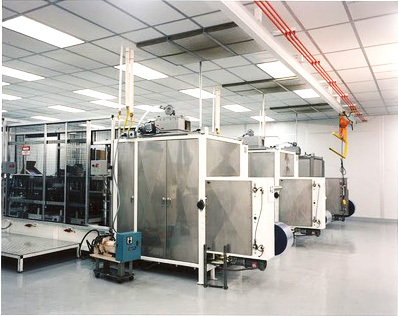 Injection Molding Cleanroom built with PortaFab modular building systems. PortaFab’s modular wall systems are available in a number of panel finishes including vinyl, painted steel, aluminum or a fiberglass reinforced plastic (FRP) finishes that provide environmental control from noise, temperature, humidity and particulates. They can also accommodate oversized roll-up or bi-parting doors to facilitate the movement of large equipment and materials in and out of the controlled environment. 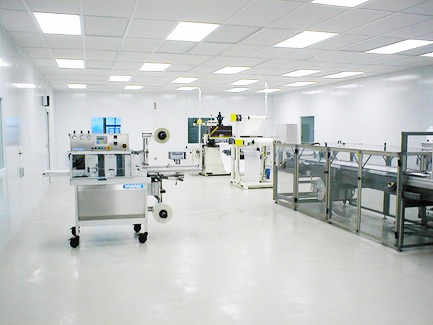 Packaging room featuring PortaFab's OmniFlex wall system. PortaFab’s controlled environments offer an ideal solution for medical device packaging, drug bottling, filling and similar applications within these markets. Strict guidelines by the FDA ensure that medical equipment are fabricated, prepared and packaged in accordance to strict environmental regulations. Environmentally controlled area for sensitive printing process and equipment. Do you need to maintain greater control over environmental conditions like air quality, humidity and temperature? Do you need to segment areas of your operations to restrict access and enhance safety and security? Featuring three different modular cleanroom wall systems from PortaFab and an unlimited number of configurations, we make it easier and more cost-effective than ever to create ultra-clean facilities that meet the critical environmental conditions demanded in many industries. Whether you need a Class 100 cleanroom for the packaging of pharmaceutical supplies or just want to achieve better environmental control in a manufacturing plant, we have a solution. 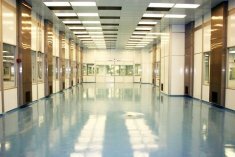 Find a Cleanroom Dealer near you or you can request a cleanroom quote here.